NOW HIRING: 2018 GALEO bilingual canvassers needed! Do you want to make a positive change in the Latino community? Do you want to increase the engagement and electorate of Latino and minority communities? If you answered ‘yes’ to these questions, we would like to invite you to join the GALEO family today. There is only about 60 days left until election day and every Latino Vote counts! Hourly wage is incentivized by the increase in the amount of shifts worked in a week. 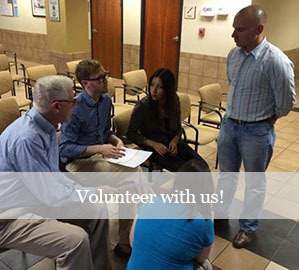 We are hiring for several canvassing positions to increase the #GALatinoVote. You will be making an impact in your community by registering voters and working to remind people to vote for the November 6th elections. There are options for growth pay provided you exceed performance expectations. If you are interested, send an e-mail to harvey@galeo.org in order to discuss openings. Please send along your resume and two to three references. -Live in, or near, the counties of Hall, Dekalb, Cobb, or Whitfield. -Fluent in English and Spanish. -Own a smartphone and vehicle. -Eligible to work in the United States. -18 years of age or older. Quieres hacer un cambio positivo en la comunidad Latina? Quieres hablar con la comunidad sobre el poder del Voto Latino? Te gustaría ganar un sueldo por hora competitivo y escoger tus propias horas mientras que haces un impacto positivo en la comunidad? Si contestaste ‘si’ a cualquiera de estas preguntas, nos gustaría invitarte a pertenezcas a la familia de GALEO hoy mismo. Envía un correo electrónico a harvey@galeo.org para discutir las oportunidades. El pago se incrementa dependiendo de los turnos trabajados semanalmente. -Fluido en Español e Ingles. -Poseer un teléfono inteligente y un vehículo.